South London’s Touching Bass is proud to be collaborating with Melbourne label, Wondercore Island, to present its first move into label territory — the debut album from Hiatus Kaiyote drummer and self-taught, multi-instrumental producer, Clever Austin. 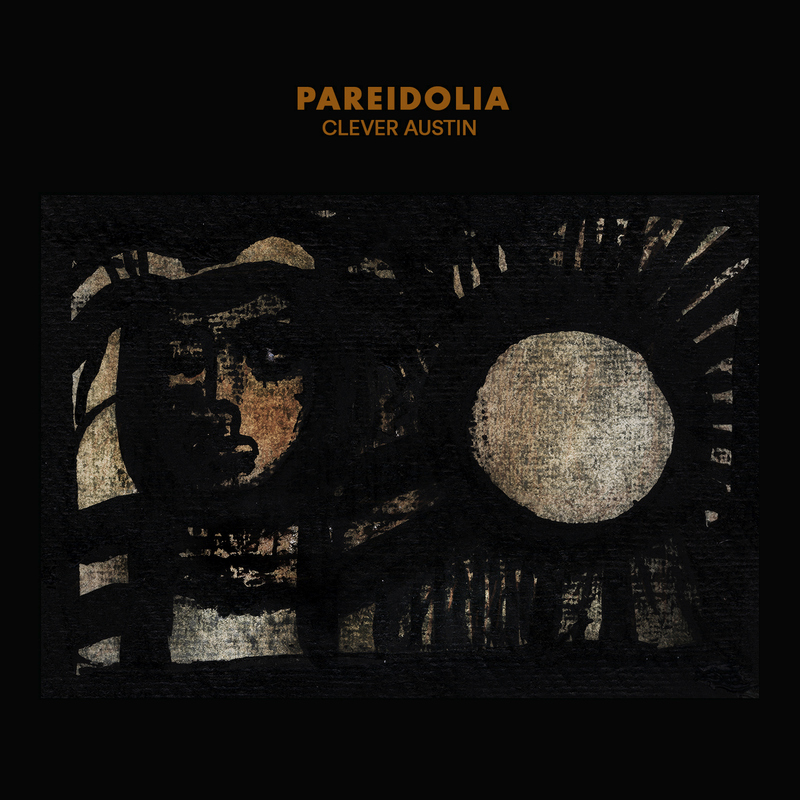 Much like his Grammy-nominated work for HK, Pareidolia is a genre-bending sonic and emotive pilgrimage with virtuosic, percussive groove at its core. Conceived via countless nights in his home studio, it dreamily roams across 18 tracks which slowly unravel with the cinematic feel of a movie; all mixed and self-produced over a period of two years. Guest appearances are spontaneous, late night drop-ins, cross town musical crossovers and moments of respect paid to established and emerging innovators. Touching Bass are proud to be the first UK label to introduce the mesmeric talents of Texas native, Jon Bap on first single “Blue Tongue”. Elsewhere, fresh from her well-received 2018 release on Brainfeeder, Georgia Anne Muldrow blesses “You Are All You Need” with her mercurial voice. Closer to home, Cazeusx O.S.L.O’s baritone spoken word grounds “Mothership Strip” and Brisbane-born multidisciplinary artist, Laneous (aka Lachlan Mitchell) croons on “Catapult”. As with most organic collaborations, the label connection was a result of sheer serendipity. Touching Bass founder, Errol, has been following Clever Austin and the Wondercore Island mixtape series since 2013. But it took until 2018 — during their debut Australia/Japan tour — for him and Alex Rita to make their own way to Melbourne. One night, following on from a Touching Bass event, the pair got involved in a late night jam session at Clever Austin’s studio with Lori, Silent Jay and Mandarin Dreams’ Kuzich. “We were all bigging up and sharing music made by friends in our respective homelands but when Perrin started playing his own project, everyone was just in silence. He’d crafted something that was equal parts peculiar, innovative and so beautiful that it brought us to tears. That’s when we knew it was special.” Pareidolia further cements a trans-global cultural exchange between the soulful sounds emanating from Melbourne and London. “Touching Bass may very well be one of the last bastions of a bygone era where community and feeling remain at the centre of everything they offer…the next step in the evolutionary chain of spaces like Plastic People.” — TRENCH Magazine.